Our adventure continues with a rafting excursion, a wildlife hunt, excessive sunscreen and sunburns, and a whole lot of public transit. We departed Arenal bright and early for a 5:45am transfer to Pacuare River, where we’d be white water rafting for the day. 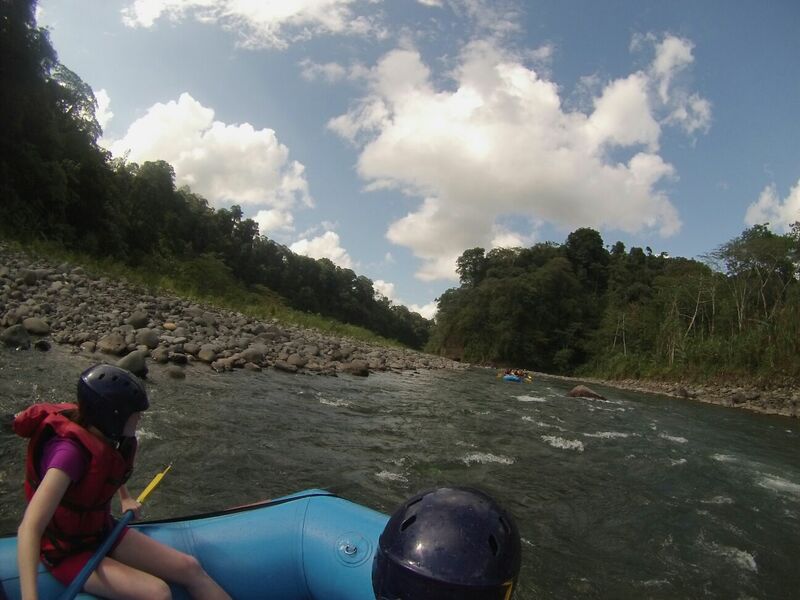 Pacuare River is the best river for rafting in Costa Rica and is rated #5 in the world for best white water rafting! Along with many class I-IV rapids, the river is incredibly scenic. We had a huge rafting group on the day we went, and true to the rest of the trip, when the guide asked the bus who was from Canada, more than half of the bus raised their hands. So if you’re wondering where all the Canadians have gone recently, it’s Costa Rica. 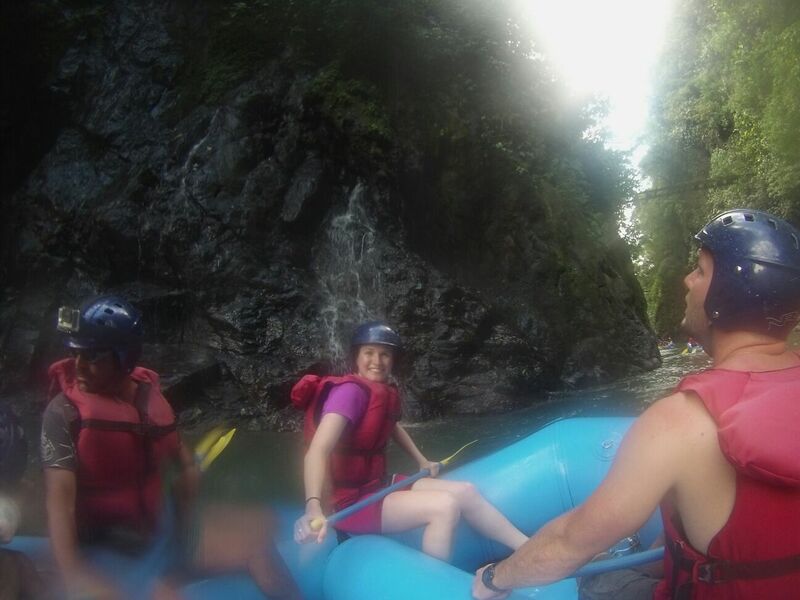 We also met two girls from Newfoundland who are making their way through Costa Rica and Panama as well – making them the first Newfoundlanders we’ve met while traveling! 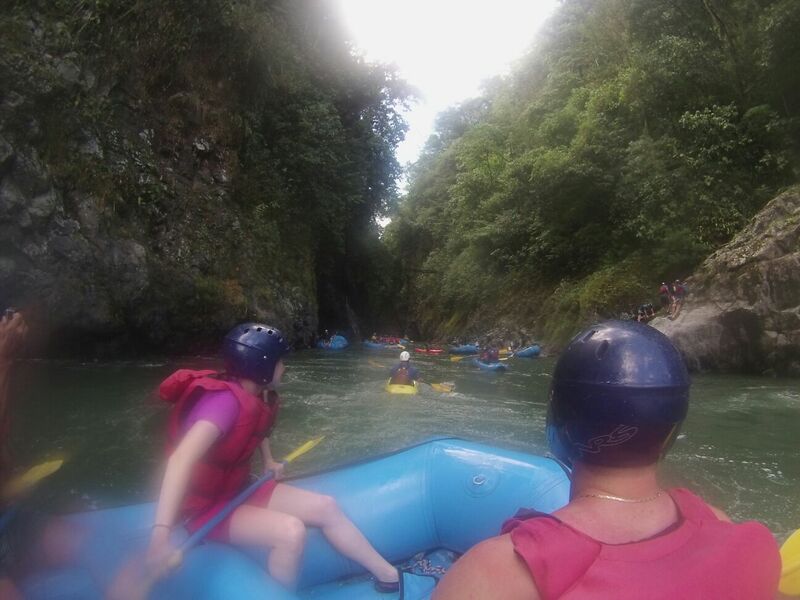 We had an excellent team on the river and managed to keep everyone in the raft throughout the entire day, even through some of the more challenging rapids. Emily was one of our raft captains in the morning and we switched after lunch. The river is incredibly scenic and is surrounded by rainforest on both sides. We saw tons of birds and got out to swim a few times along the way. It was definitely the warmest rafting water I’ve ever swam in! My favourite part of the day was near the end when the river narrows and flows through a canyon, with huge rock walls surrounding you on both sides. There’s several waterfalls flowing down into the gorge and it was just the most beautiful setting in which to end the day. The only downside was it was a challenge to reapply sunscreen and we both got some pretty bad sunburns. Overall the heat has been unreal in Costa Rica and I feel as if I’m constantly fighting a losing battle with the sun. Between the sunscreen and sweat, I’m always coated in an extra 5 layers of grime, so we’re looking forward to our beach time coming up! After Pacuare we made our way to remote Tortuguero National Park. This was a logical nightmare that eventually paid off, but involved a lot of hours on uncomfortable transit. 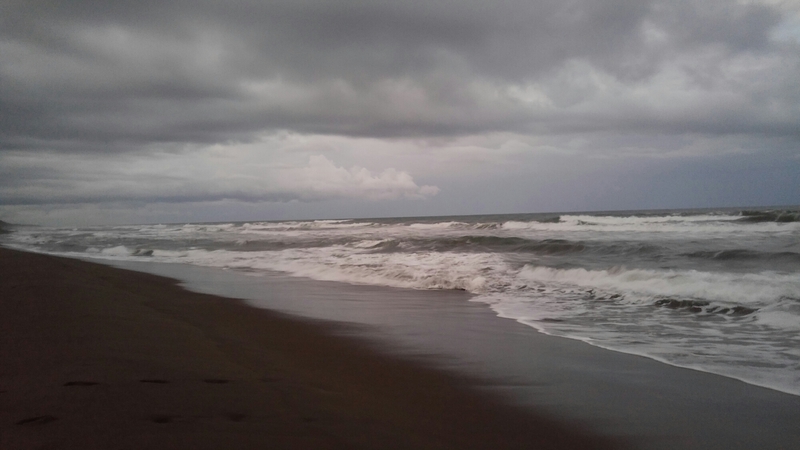 Tortuguero is a National Park on the far north Caribbean Coast. It gains it’s name from the 4 species of turtle that travel there every year to lay their eggs on the same beach from which they were born. 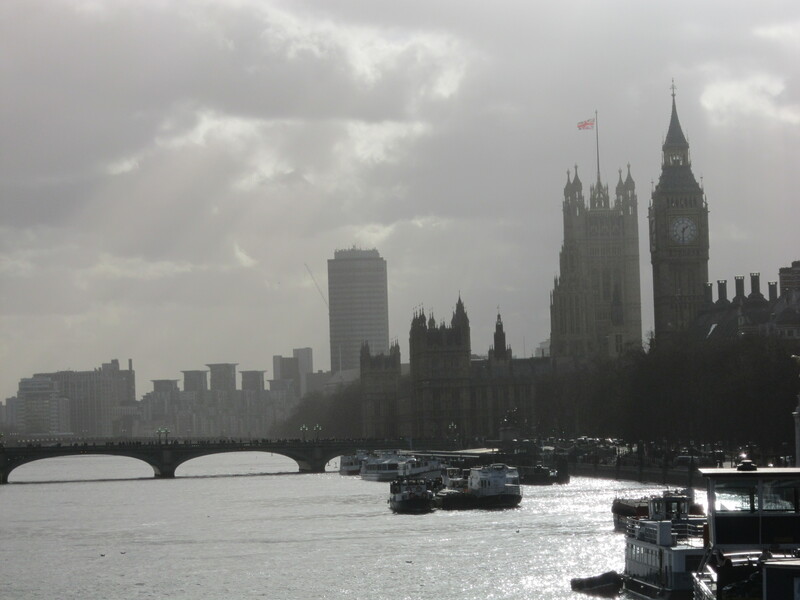 As such, it is incredibly remote and involved taking a bus to the middle of nowhere, followed by a long boat ride up the river. The park has a number of canals running through it on the interior and borders the Caribbean Coast. The water was really warm, but the most we could do was dip our feet in due to the dangerous riptides offshore. On our first night in Tortuguero we took another night walk in hopes of spotting some frogs and lizards. We would have loved to see a turtle of course, but sadly we visited just before leatherback turtle season and were unable to see any. 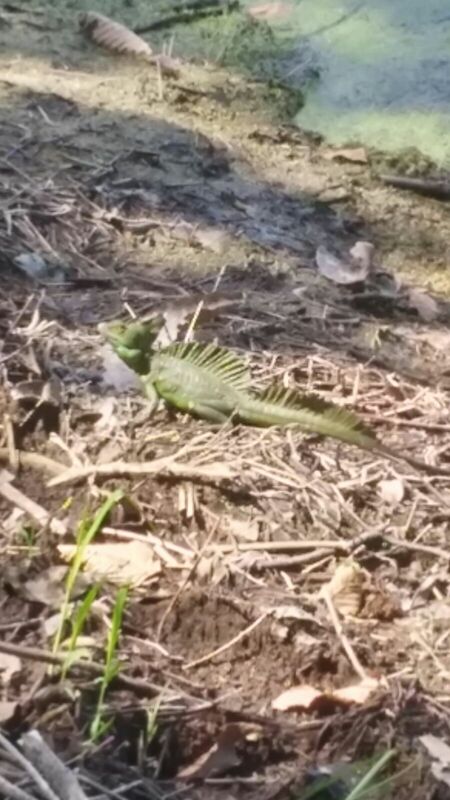 We did see several lizards though, including the Jesus Christ lizard, named for his ability to run across water, and my favourite, the Emerald Basilisk (see picture), who we managed to avoid eye contact with! We haven’t seen much for frogs yet, but we did see a female Gaudy Leaf Frog who is 7 different colours and has red eyes. 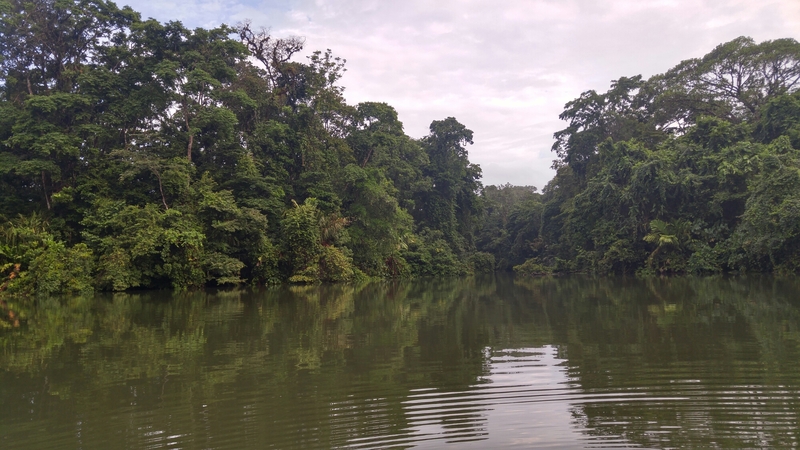 We had another early morning in Tortuguero to do a canoe ride through the park. Morning is the best time to see animals and we certainly saw a lot! Mostly we saw birds, including many types of herons and kingfishers, but we also so several iguanas, caimans, spider monkeys, and crocodiles. We both loved the spider monkeys, who were extremely active, jumping around from tree to tree. We left Tortuguero via a different route, but it still involved another long boat ride followed by bus. 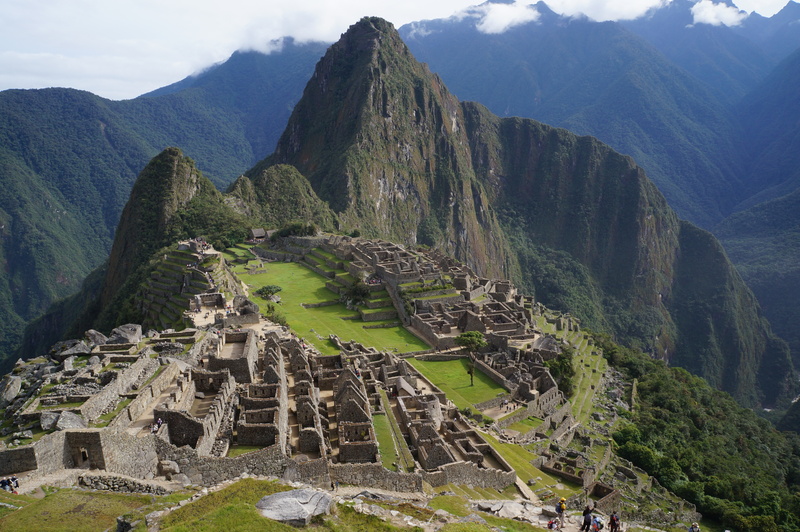 It was definitely a pain to get there, but it was very peaceful and serene and we loved seeing so much wildlife. We’re currently south in Cahuita and l we’ll soon be making our way to Panama!